Peachtree Publishing Company, 9781561459209, 48pp. The ocean covers two-thirds of our planet. It is Earth's largest ecosystem, full of organisms living in wildly different and even extreme environments. This clever collection of poems for kids describes the devious and surprising methods ocean denizens use to forage for food, capture prey, and trick predators. The poems bobble and swim effortlessly from page to page, leading readers from the snailshell home of the jeweled anemone crab to a raft of violet snails hanging upside down in their bubble houses. 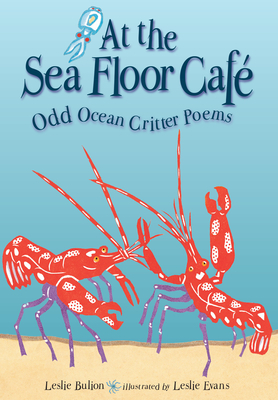 At the Sea Floor Caf includes science notes with details about each animal's behavior, a glossary, and poetry notes explaining the types and forms of poems that appear on each spread. Striking linoleum prints round out this title, which can be used across the curriculum.